I’ve been working feverishly to finish this painting. I want to finish it while I have the time, before my baby is due- in 3 weeks. After that- painting will happen during nap time if I’m not too tired and need a nap myself. I’ve been working on this project for over a year now. 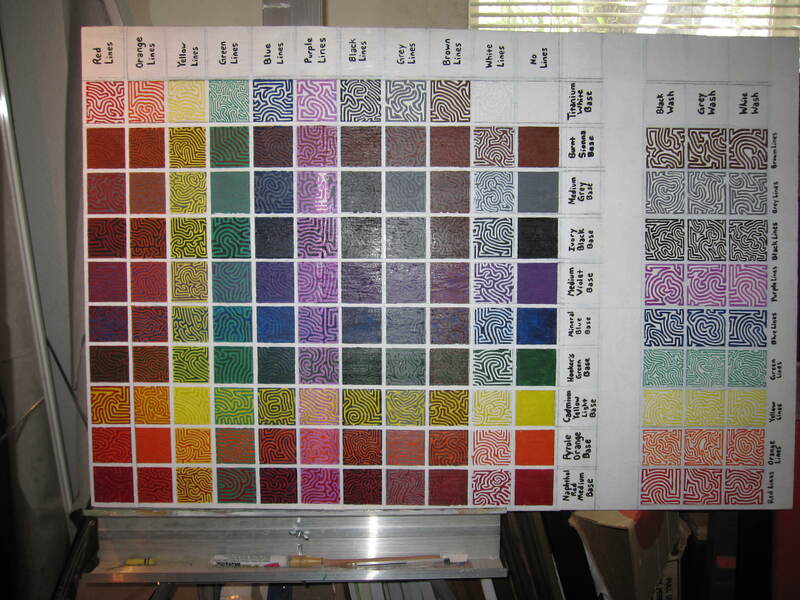 It’s a study that shows what happens when each basic color is mixed with each other basic color, half and half. I wanted to have a visual reference of each color’s relationship with each other color. Some of the results have surprised me. When I finish the painting stage I plan to write about my findings. I started with solid blocks of color vertically and then overlayed them with a single line in the same colors (as best I could using paint markers) going horizontally. The negative space in each colors block is the solid base color and the line is the overlay. 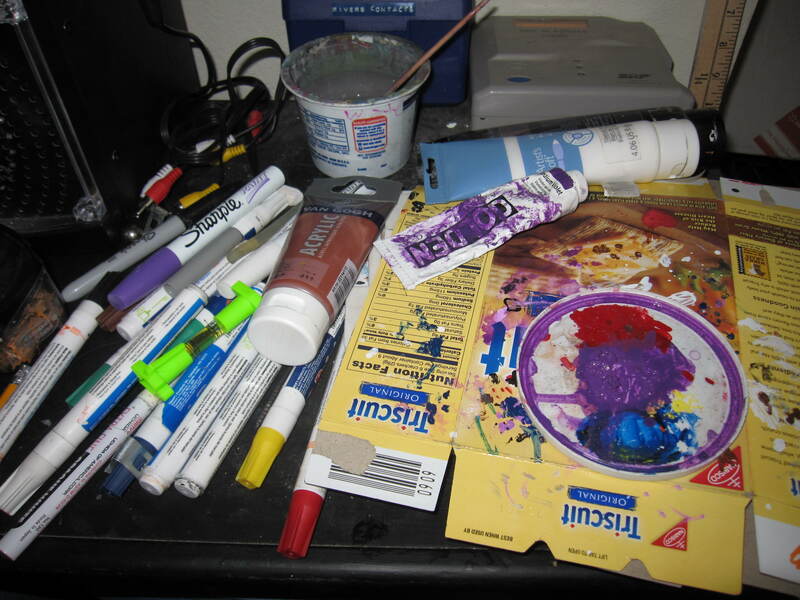 My paints and palettles as they are beside my easal. I’d better get back to work- I don’t have much time.